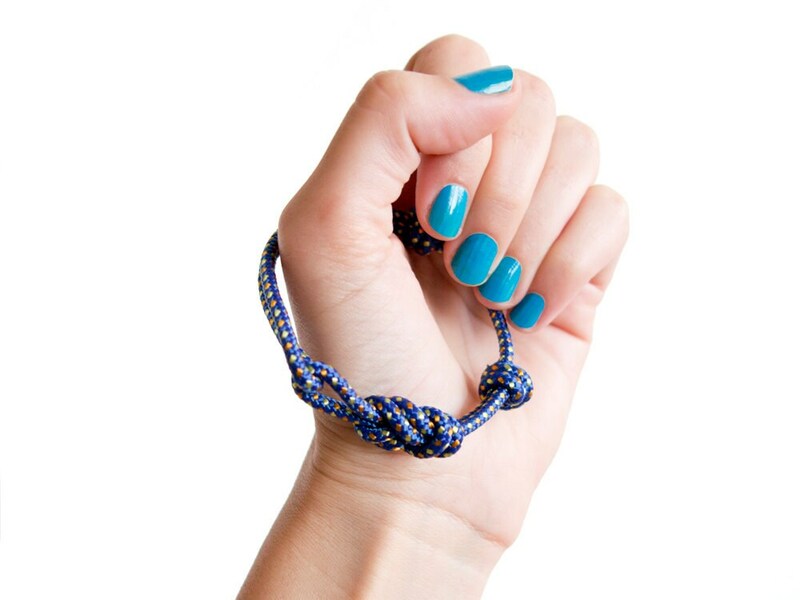 Hand knotted infinity bracelet - men and women suitable. 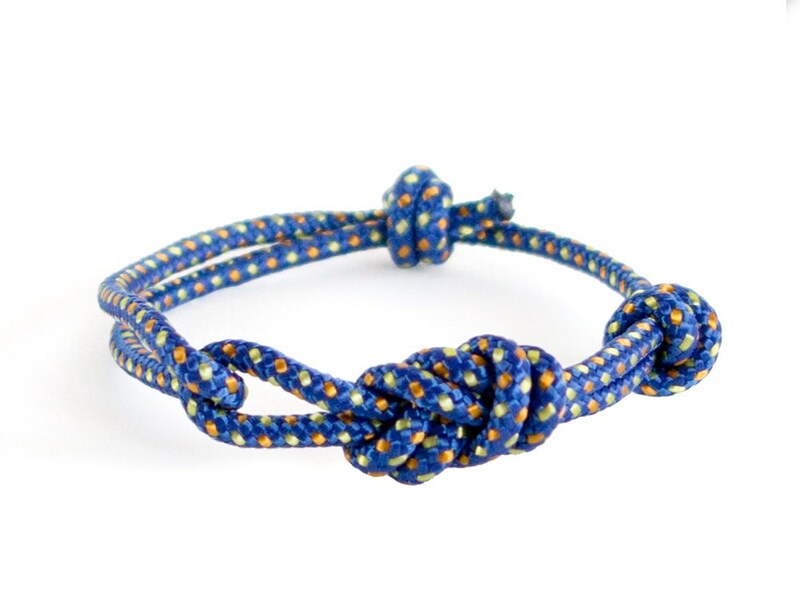 This mens infinity bracelet is a figure eight bracelet, created of real climbing rope, that is really strong. The diameter of the cord of this one, unique in rock climbing jewelry is 3 mm (1/8"). You can adjust its circumference when you slide the knots. So, it will fit perfect to men and ladies also. The circumference vary from 26 cm (10 1/4") when it is maximum opened, to 18 cm (7 1/16"). For creating this infinity bracelet men we didn' t use any metal parts - so it is best gift suggestion for someone, allergic to metal. 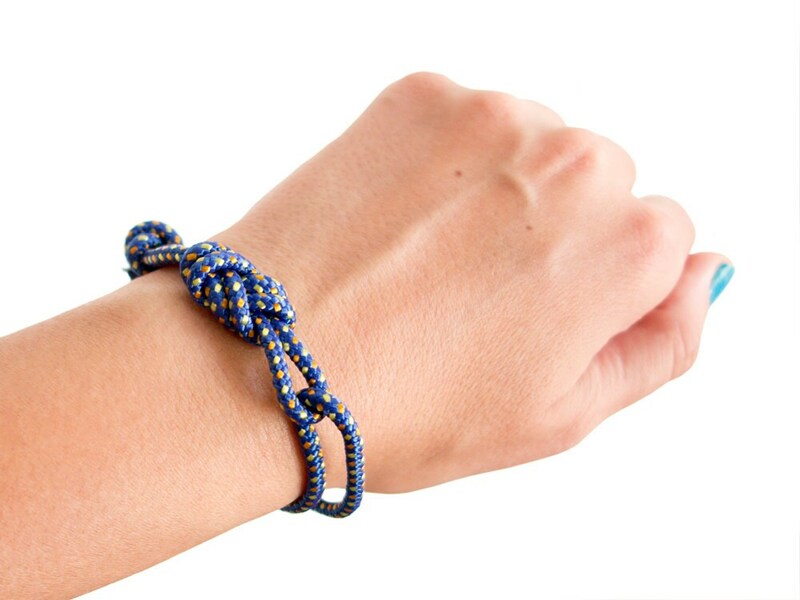 This figure eight bracelet is knotted of dark blue rope with small yellow and orange dots. 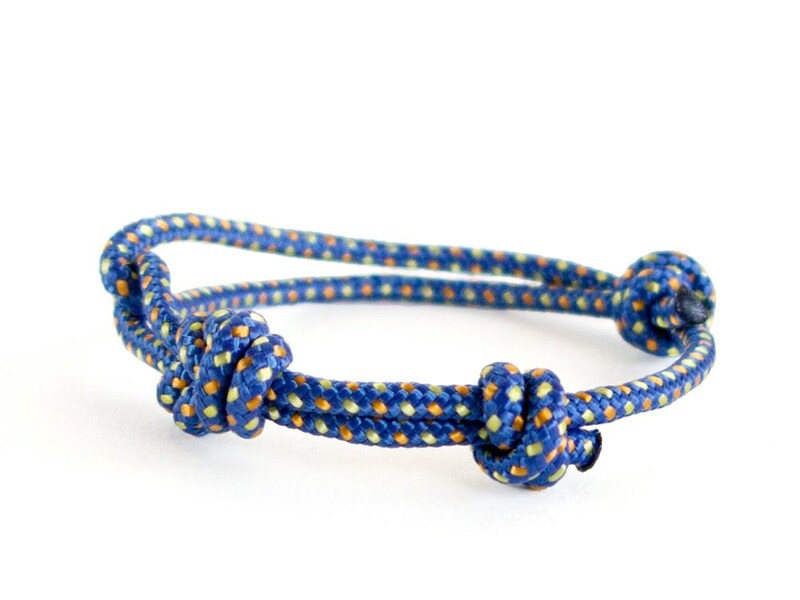 To rock climbing jewelry section of Nadamlada's handmade shop, where you can find more women's and mens infinity bracelet sets. 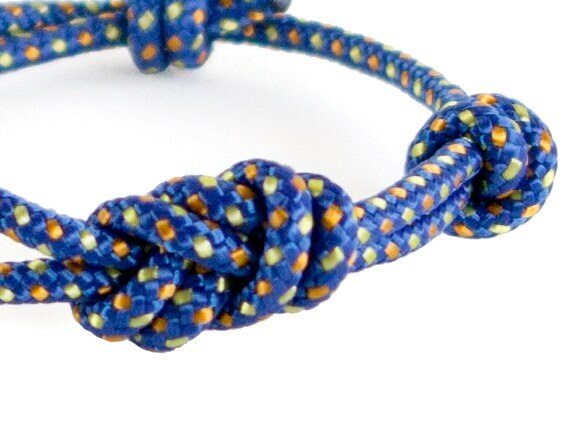 You can order this knot bracelet gift wrapped.